‘Bharatakosa’ is a dictionary of rare distinction explaining the technical terms found in Natya Satra and Karnataka Music. There are more than 7000 entries with their numerous derivations as explained by Sastrakaras from time to time. An appendix containing more than 2000 words in 200 pages is also added by the lexicographer. More than sixty authors of Indian origin and various anonymous authors are studied here. Scholars like Sarangadeva Kumba, Nanyadeva, Vema, Gopathippa, Bhoja, Amritha Nandi, Sarada Thanaya, Palkuriki Soma, Someswara, Ashoka etc., are quoted extensively to define a word. ‘Bharatakosa’, a monumental work by Ramakrishna Kavi, encompasses every branch of fine arts and it testifies to the profound erudition and encyclopaedic knowledge of the author about India’s varied culture. Even a cursory glance of the book will be enough to emphasise the importance of the book. 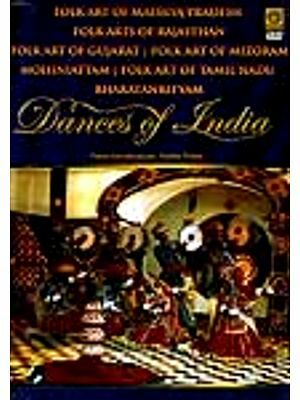 It is, as critics acclaim, a landmark in the history of Indian Dance, Drama and Music. Manavalli Ramakrishna Kavi popularly known as M.R. Kavi evokes a rare kind of response and reverence from the students of Telugu and Sanskrit literature. Born in 1866 at Nungambakkam, Madras in a Family of Scholars, he did pioneering work in the field of letters. When textual criticism was taking shape in the country, he edited and published many a Telugu and Sanskrit work. Bharata’s “Natyasastra”, Dheera Naga’s “Kundamala”, and works of Mularaja, Sudraka, Nanyadeva also came to light thanks to his tireless efforts. Through his Dakshina Bharatha Granthamala he published a series of books on some lesser known poets under the title ‘Vismritha Kavulu’ – in Telugu. He has a good number of Telugu and Sanskrit original works to his credit. He has been associated with Tirumala Tirupati Devasthanams for fourteen years. The scholar passed away in September, 1957. 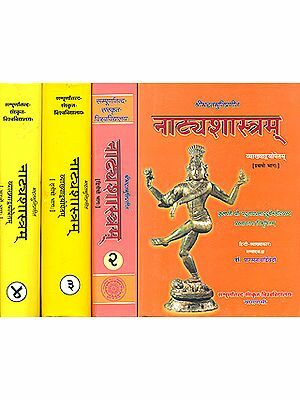 He compiled and edited Bharatakosa which is hailed as “the quintessence of Bharata Sastra” by Dr. Tirumala Ramchandra. The Tirumala Tirupati Devasthanams, besides maintaining the temples at Tirumala, Tiruchanur and other places under its administration according to the traditional injunctions prescribed in Agamasastras, and looking after the convenience of the perennial flow of pilgrims from all over the globe almost round the clock, has been evincing keen interest in the proper development of social and cultural activities too. The Veda Patasala, the S.V. Oriental Research Institute, the S.V. Oriental College, the Annamacarya, the Dasasahitya, the Alwar Divya Prabandha, the Bhagavata Projects are standing testimony to the Devasthanamas abiding interest in the preservation and propagation of Indian heritage. As part of this endeavour, the S.V. Oriental Research Institute (now a wing of S.V. University) has brought out quite a good number of publications which have deservedly earned wider renown among the scholars both in the orient and the occident, and which even today serve as ready reference works. One such publication is Bharatakosa a voluminous dictionary of technical words found in the various texts, not only in Sanskrit but also in Prakrt language, on Natya (Dance), Sangita (Music) and Kavyalankara (Rhetoric), brought out by the T.T. Devasthanamas in 1951. Such technical terms have been collected from various works on Natakalaksana (Dramaturgy), Gita (Music), Nrtta (Dance) and Vadya, (Musical instruments). The lists of authors and books referred to in this complication, from Bharata (500 B.C.) to Ranganatha (1750 A.D) and from Natyasastra to Bharata Kalpalata are really amazing. Manavalli Ramakrishna Kavi (1866-1957), the author of Bharatakosa was a multifaceted scholar of rare eminence. He was a polyglot too, well-versed in many subjects endowed with an innate aptitude for research. An esteemed literary figure, he was the T.T. Devasthanams Educational Officer in 1933 when he started a journal by name Sri Venkatesvara – forerunner of the “T.T. Devasthanams Monthly Bulletin” which later blossomed into the present Sapthagiri monthly. He was later on the staff of S.V. Oriental Research Institute, Tirupati from 1940 to 1954 as Head of the Department of Sanskrit. It was he who first brought out Bharata’s Natyasastra with the scholarly commentary of Abhinavagupta. Again, it was he who found out the greatest work on Music, the Bharatabhasya by Nanyadeva, the famous king of Mithila. The words of K.P. jayaswal in Modern Review, June 1928.... ‘Ramakrishna Kavi is himself a discovery. His knowledge of Sanskrit Sahitya is of the rare traditional type, that is, unlimited and at the same time it is critical’ describe succinctly the qualities of the profound scholar that he was. The book Bharatakosa was out of print for a long ime. The T.T. Devasthanams feels happy and privileged in bringing out the second edition of this monumental work. It is earnestly hoped that it will receive the acclaim of the scholars, as it did earlier and be of great use to them in their research endeavour. In placing this work before the public I have not much to say except by way of apology. When I undertook the edition of Natya Sastra of Bharata with the most scholarly commentary of Abhinavagupta it was not realised by me that the task was like the lifting of a mountain without scientific aid or machinery. Chapters 28 to 34 deal with music all through. Abhinav is a profound scholar and one of the greatest thinkers in Philosophy and Aesthetics. To ensure myself of the right significance of the expression of Bharata and his great spokesman, both of whom possess terse and deep voice capable of lifting one’s soul of the highest pinnacle of ethical aesthetics, I had of necessity to acquire and study all the available works in Natya, Sangita and Kavyalankara and a few decades of my life saw me wading through the ocean of thought of great sages who devoted their lives to the science. The task is endless and the span of life is short; memory is like the foot-prints on the sands and infirmities of old age darken the dying flow of intellect. Considering the needs of the research world it was thought feasible that an index of the technical words used in those great works with the definition of the authors will be of immense help to scholars who devote themselves to the study of the science and on the advice of the director of the Institute the themselves to the study of the advice of the Director of the institute the complication was begun and God Sri Venkatesvara has shed His Divine grace for its completion in two years and a half. Though the work exacted all the resources of my mind, yet I see it is not a fitting compliment to the vastness of studies it involved. Everything has its uses and every user may derive inspiration from the utterances of great thinkers culled here, and I find solace if it proves useful to any scholar who is ardent in turning over these pages. The subjects that the technical terms are culled from are four, viz., Dramaturgy or Natakalaksana, music or Gita, dancing or Nrtta and Instruments or Vadya with Prosody relating to Divine song Dhrvagana. Originally it was proposed to include Alankara or rhetoric, subtleties in expressions or Dhvani, erotics or Kamasastra and all the branches of architecture (of temples, royal mansions, town-planning, painting and Iconography.) But in consideration of the length of time and extension of the studies which these subjects would involve, the scope of the work was limited while a more powerful factor in the decision is that the letter subjects are not kindred, though of equal importance and therefore deserve separate treatises. Of the five subjects excluded, prosody is given a minor place; prosodial terms as used in the other three subjects are included. It was found necessary to extend the selection to prakrt languages. Bharata deals at length with all these subjects and his ideas are only augmented and never altered or received or revised by subsequent writers and as he is still the fountain-head, this compilation is named Bharatakosa. The conspectus of his introduction may be put as (1) the extension of each subject, (2) the manner of the inclusion of technical terms and (3) bibliographical notice of authors who contributed material for the denotation of each word. I Dramaturgy: - Bharata restricts himself to the description of ten kinds of dramatic composition, excluding Geya or lyrical plays. Kohala includes ten more and later scholars describe more than thirty. The composition of the story and the five units with sub-divisions thereof are dealt with at length. They are called Sandhyangam. Purvaranga is described in two or three ways by Bharata, Matrgupta, Kirtidhara etc. Rasa and bhava come under Dramaturgy. II Music (Sangita) proper treats of Svara, Gita, Raga, Prabandha (Musical Composition) and Prakirna (Miscellaneous). Here what is dealt with in chapter 31 of Bharata called Taladhgaya is considered as seven divine songs (Sapta gita) which are now extinct. Bharata, Dattila, Nanya and Kumbhaakarna have defined the subject well. III Instrument (Vadya) is classified broadly into Vina, Vamsa (Flute), Mrdanga (Drum) and Tala. Vinas have changed in shape and use in every century and with each user. The shape of Dhanus (a bow), as we see in the sculptures, called Pinaka by Gautamputra, was considered as an accompaniment of a beggar to earn his livelihood in 1400 A.D. Mattakokila of Bharata, Citra of Matanga, Vipanci of Svati have all gone out of date. In this compilation definitions are given for as many kinds of lute as one can find the literature. The old lutes require high Srutijnana (Perfect knowledge of all varieties of tunes); but the modern instrument wherein fret are permanently fixed and each raga has a determined Sthana to play on, the matter is much simplified and several conveniences are introduced in a single machine. For, in times when Vina had seven or more upper strings, without frets or with movable ones, more than one instrument was necessary to sing more than one Raga in a royal court or in Yajnasala. The case is similar with flute which is now fixed with one or two tunes which suit the player, but which in olden times different in more than three pipes to suit the kind of audience near or distant, Nagara or Upanagara. Similarly Tripuskara (three kinds of Mrdanga) of Bharata was displaced by modern Mrdanga which is easy to learn, handle and carry; but the scope in older instruments was greater while on the other hand expert ready knowledge should be pledged for good results. Tala (keeping time) as an art has undergone great modifications and every day witnessed new combinations or rather permutations. The older Talas are Marga and the later Desis are such as alone grew almost to swell the formula to a permutation of six or seven figures. The terms relating to all the five subjects stated above are incorporated in our work and their definitions are given as noted in the best work on each subject. Some of the definitions may contain again terms which are deemed to be technical; but they are defined in their proper place. Explanation to every quotation would involve endless labour and long time without much benefit to the reader. An English or Vernacular translation for every word is really desirable; but when once the work was given some shape in one language, linguists can easily translate it into their own tongues. A bibliographical notice appears to be necessary for all further research in the subject; and if it is chronologically set forth, it affords ample help to find out what work one has to refer to for each stage of research without wandering in the mist. 11.5" X 9.0" X 3.0"